I think that most all police officers, and some armed citizens to a point, are carrying back up guns as a norm. Back in the day, most carried Walther PPK’s and Smith and Wesson J-frames as a back up gun. When the Glock 26/27 debuted, the world was set on its ear. The compatibility alone made sense for the agencies that issued the G17/22 to add the “baby” Glocks as back ups. Something I have noticed in my little slice of the world is that no one really trains with their back up gun as it is carried on a daily basis. I’m guilty of this as well. I train obsessively in dry fire and live fire with my duty pistol in duty gear, my off duty carry with the pistol concealed, but rarely if ever train the back up guns. I think the modern training world agrees that your subconscious assists us in times of stress. I think we’ve all either seen it or been there. At the end of a vehicle pursuit, we get out of the car, and somehow the gun winds up in our hands. We give the suspect loud verbal commands, the polyester pile ensues, and the guy gets cuffed and placed in the back of a cruiser. 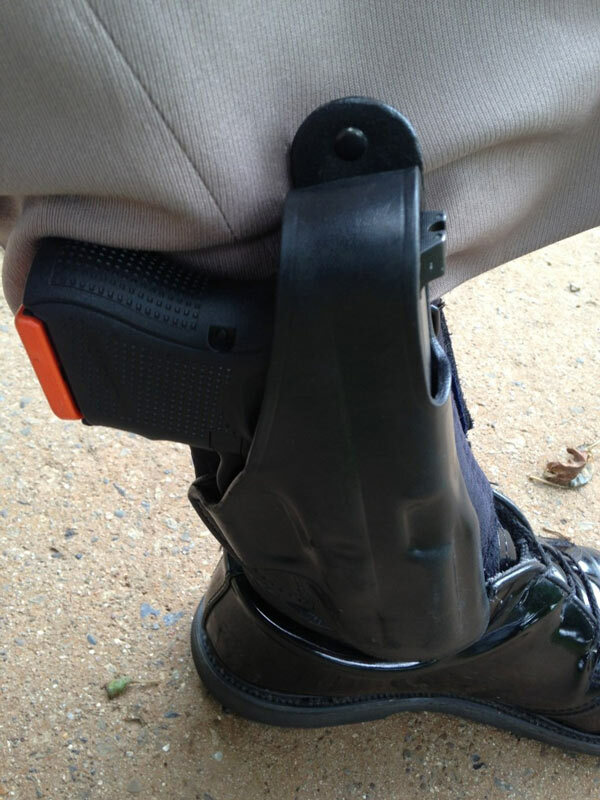 Somewhere along the way (hopefully) the gun was magically reholstered and the retention devices were engaged. At some point, the subconscious drew the pistol when we thought “Huh, might need a gun here,” and holstered it back when we were done. This action is the direct result of lots of dry draws, and lots of time on the range. Based upon the above that we know is true, what is going to happen when we need the back up gun, but we only practice getting it out of a pocket or an ankle holster the one time per year when we qualify with it? Training time is at a premium. I get that. But, let us dedicate some time to work the back up gun. A few more reps of drawing it might help us out when we need it. This post original published at Modern Service Weapons.